DXF (Drawing Exchange Format) has been playing an important role in the world of CAD (computer-aided design). It is the industry standard for file sharing across different CAD programs. How do you create a DXF file? What are some good DXF file viewers and converters? Where do you download DXF files for free? Find the answers here. 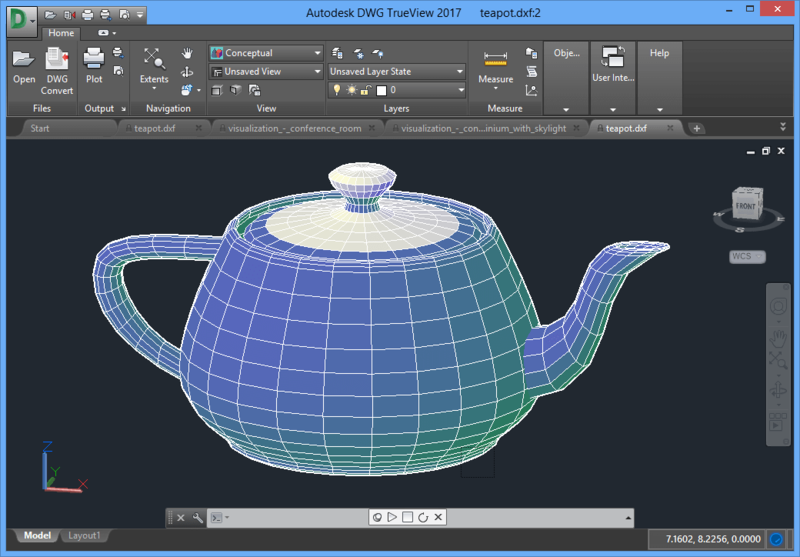 Autodesk, the developer of the most well known CAD software AutoCAD, developed the DXF format to enable data interoperability between AutoCAD and other programs. It was initially released in 1982 and is almost as old as Autodesk itself. Unlike the DWG format which is proprietary to AutoCAD, DXF is open source. DXF files are vector graphic files that can store 2D drawings. They can also contain 3D data. DXF drawings are dimensionless, so the user needs to know the unit used to create the drawing. A DXF file can either be in an ASCII or binary format. You can read ASCII DXF files in any text editor. A DXF file can consist of these sections: HEADER, CLASSES, TABLES, BLOCKS, ENTITIES and OBJECTS. You can easily share DXF drawings between different software programs, which helps solve the compatibility issues and facilitates collaboration. However, just as with any file format, it’s not flawless. For people in sectors such as engineering and architecture, working with DXF and other CAD formats can be part of the day. When it comes to the clients, they may not have AutoCAD installed on their computers. The good news is they can easily view a DXF file without AutoCAD. There are a number of DXF viewers that can open and read files with .dxf extension. Some of them provide basic features such as file viewing and measuring. Some DXF viewers are versatile with additional useful functionalities such as editing, commenting and conversion. It’s a basic and useful viewer for DXF and DWG files. You can use it to easily view, present and measure your drawings. It can view 2D and 3D files and also converts DWG versions. Currently Windows-only, it is compatible with Windows 10 (64-bit only), Windows 8.1 and Windows 7 SP1. Coming with nice display and excellent features, it’s a good tool for viewing DXF files. It also allows you plot multiple DXF drawings at once. The interface is well organized with a helpful search feature. 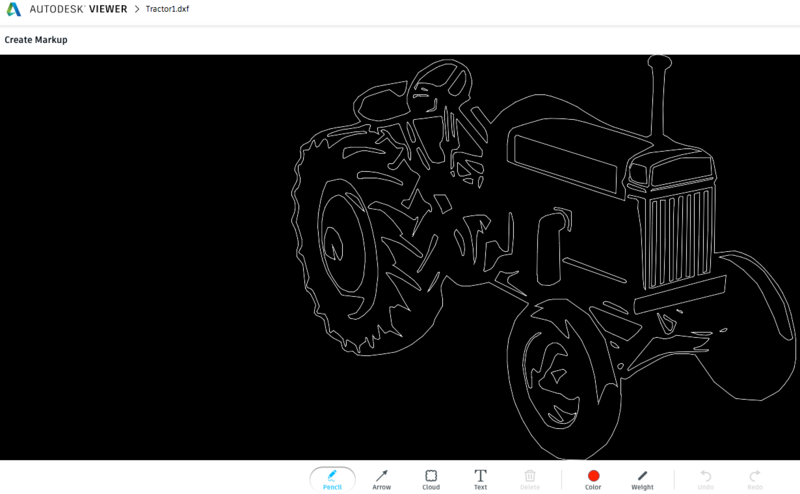 This online DXF viewer is from Autodesk itself. It enables you to view drawings in your browser on Windows, Mac, iPad, iPhone and Android devices. It supports over 50 file formats including DXF, DWG, DWF, Revit RVT, STEP, etc. You can use it to read both 2D and 3D designs. To get started, you need to sign in with your Autodesk account. You can upload DXF files from your hard drive, Google Drive and a few other cloud storage services. If your DXF file is complex and large in size, it will probably take a while. This DXF reader comes with sets of 2D viewer tools and 3D viewer tools. Users can also view and make comments and markups, which can be an easy way to collaborate and give feedback. This web-based tool also makes it easy to print a view, take screenshot and manage designs. You can create DXF file in AutoCAD, Microsoft Visio, Adobe Illustrator, Autodesk Inventor and SolidWorks, just to name a few. You can also create files with .dxf extension from images, PDF files, etc. We will cover the conversion part in the next part of the article. Step 1. Go to Save As > Save Copy As. Step 2. From the Save as type dropdown list, select DXF files (*.dxf) to create a DXF file. You can customize the DXF export configuration. In the lower left corner of the Save Copy As dialog box, click Options. It allows you to configure this the way you want. There are different configurations that you can use. You can choose the default one or create a new one. In the File Version, choose the version you need. Click Next, and you will see the Export Destination dialog box where you can set up data scaling options and mapping options. You can save the configuration and use it the next time to create DXF file. Step 1. Launch Adobe Illustrator CS on your computer. Step 2. Go to File > Export. The Export dialog box will show up. Step 3. From the Save as type dropdown list, select AutoCAD Interchange File (*.DXF). Step 4. Click Save to create DXF file. When you export your design as a DXF file, you can set options including AutoCAD Version, Scale, Number of Colors, Preserve Appearance and a few more. Tip: You can’t directly export a design in DXF format in Fusion 360. The solution is to use A360, a free AutoCAD viewer available for computer and mobile devices. Open your Fusion 360 drawing in A360. In the Project Dashboard, click Download and select DXF. There are three common ways to convert DXF to other formats and vice versa. If you don’t have CAD or graphic software installed on your computer, you can use the two other methods. There are many other desktop or web-based DXF converters available such as Bear File Converter and MetaVector CNC Free OnLine DXF to Gcode Converter. Let’s take CloudConvert as an example and see how to use online DXF converter to convert a DXF file to different formats. Step 1. Go to https://cloudconvert.com/. Step 2. Upload a DXF file from your computer or cloud storage. Step 3. Once the file is uploaded and ready for conversion, from the select format dropdown list, select the export format you need. Step 4. Click Start Conversion. Once the conversion is finished, you can download the file to your computer or save it to your cloud storage. We love the fact that we can download them online for free. There are lots of free DXF files for CNC router, plasma cutting, Cricut, laser engraving, etc. You can make the most out of the files by editing and optimizing them for specific uses. It’s one of the best places for DXF files free download. Just go to https://www.scan2cad.com/free-downloads/dxf/. Each post there contains DXF designs of the same theme. There isn’t a search feature, so you have to browse by page. If you don’t want to spend time browsing, use the trick below. Suppose you need rose DXF designs, enter “rose site:https://www.scan2cad.com/free-downloads/dxf/” in Google search box. And click the search icon. Find the theme you need. Sign in or create an account. Click the DOWNLOAD button. Each download pack features several CNC-ready DXF designs along with the JPG versions. The DXF files on the site are for personal use only. You can browse them by page, tag, or category. At the footer of the site, under DXF Projects, you can find these categories such as heart, horse, bird, flag and butterfly. To save a file to your computer, click Read Full Post and click Download DXF file (below the preview image). It doesn’t require sign in. Go to https://www.cnccookbook.com/free-dxf-files/ and you will find free drawings of various categories such as animals, food, maps and vehicles. Find the type of design you are looking for and click the image to download the DXF files. They are suitable for router, laser, waterjet and other machine. Thanks to DXF files, we can exchange data between different programs and collaborate with great convenience. They are highly compatible and can be opened by almost all CAD, CNC and graphic designed software. You can easily create, view, measure, markup and even convert DXF drawings to other file formats you need.